Construction Materials and Testing (CIVMATL) focus on the study of the physical properties of construction materials. For the majority of the course, lectures are given where the manufacturing processes, properties, applications, quality control, as well as testing of these materials are discussed. 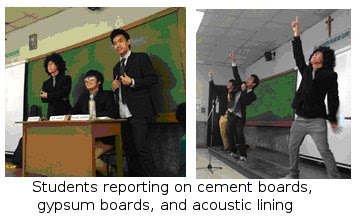 However, the highlight of the course is when students present their assigned construction materials. Presentations are separated into two parts: the individual reports and the group video project. 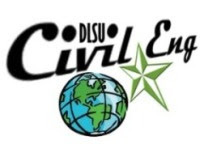 Such activities allow the students to hone their research and presentation skills as well as utilize their creativity and ingenuity to effectively provide adequate information while entertaining their audience. Individual reports are presented from 8 to 10 minutes. The main idea is to try to “sell” their assigned products to the audience. In addition to the purpose and application of the construction material, the student discusses the advantages (and even disadvantages), maintenance and safety precautions, and the cost. 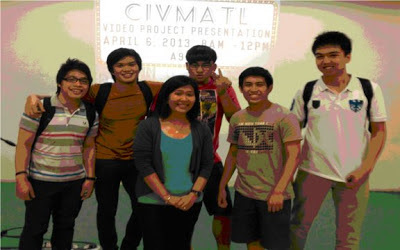 They also have the option of coordinating and collaborating with other reporters to improve their presentation style. Aside from the typical presentation using a powerpoint slides, students may choose other presentation tools or styles such as creating songs or product jingles, game shows, talk shows, or impersonating famous personalities to enhance the entertainment factor of their report. At the end of all reports, the audience would vote for the best reporter who was able to effectively impart the needed information. 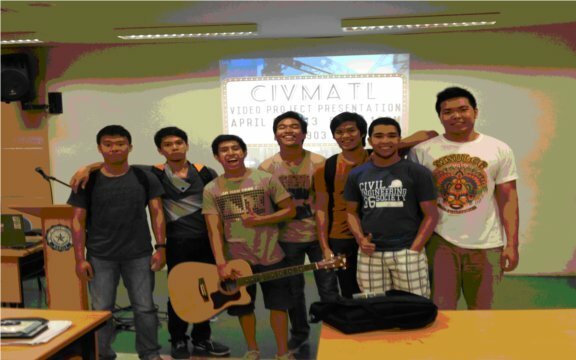 The culminating activity of the course is the video presentation of the group term project. Each group represents an existing company that manufactures materials used in construction. It is encouraged that the students would conduct personal interviews and company visits to be able to obtain sufficient information for their term project. The content of the 15 to 30 minute video is similar to the individual report but also includes the company profile and product catalogue. Faculty, alumni, and senior students are invited to witness and evaluate the video presentation. A best group were awarded based on the completeness of the required information and creativeness. 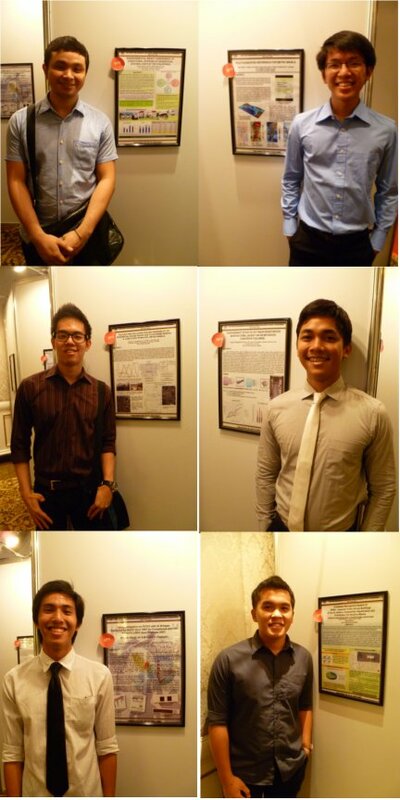 The DLSU undergraduate thesis on "Pile Foundation Reference for Metro Manila" by BSCE STE undergraduate students, T. Uytengsu, V. Torres, J. Telan and N. Gozum and Dr. J. Dungca (adviser) was declared as the champion in the 16th ASEP International Convention (16AIC) Student Research Poster Competition held on May 24, 2013. Winning also from DLSU as 2nd runner-up is the thesis group composed of J. Revelo, R. Caparos, X. Fajardo, H. Ilagan and Dr. A. Oreta (adviser) for their thesis, "A DBMS of DPWH-Inspected Public School Buildings: A Tool for Seismic Vulnerability Classification and Prioritization for Decision Makers." The group from UP Diliman won 1st runner-up. TOPIC (25%): The topic of the research as indicated in the title and abstract is in line with the theme of the 16AIC on “Prolonging the Life of Structures.” The research has a significant contribution to structural engineering, in particular and to civil engineering, in general. POSTER DESIGN (25%): The poster used figures, tables and/or images effectively to present the highlights and significance of the research. CONTENT (25%): The highlights of the research are stated clearly. The description of the content is easy to understand and the grammar is correct. ORAL PRESENTATION (25%): The student author(s) explained the contents of the research poster clearly and answered the queries confidently and honestly. 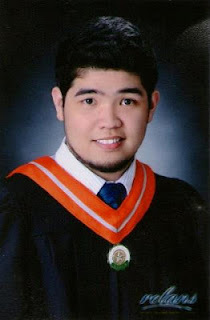 DLSU grad tops CE Board Exam and DLSU is Top Performing School! 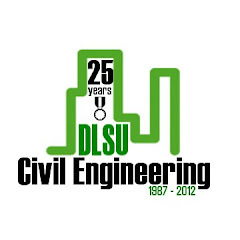 The Professional Regulatory Commission (PRC) released the May 2013 Civil Engineering board exam results. Rigel Dante S. Napa of De La Salle University-Manila topped the board exam with 93.80% average score. DLSU also placed 3rd and 8th with Justine Pe B. Belandres (93.45% - 3rd place) and Marabelle R. Del Prado (92.70% -8th place). According to PRC, 1,542 out of 3,601 passed the CE board exam. 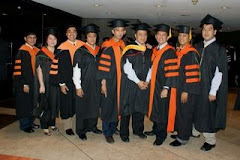 DLSU was named the top performing school by PRC with 98.46% passing rate or 64 out of 65. Congratulations to the board topnotchers and board passers. !